If your company is in the production field, then you know better than anyone how many things you have to do each day to keep the ball rolling. When it comes to production, you can’t beat the steady movement that happens when everything works out and nobody messes things up. No matter what else happens in your company, if the production line keeps itself going without your help, it will be a profitable day. If things get out of control and someone gets hurt, then the entire production facility goes down to a crawl or standstill. Then not only do you have to deal with the problem of lowered production levels, you will have to help the person who was hurt. In any production company, safety is the number one rule, and safety signs can play a large role in preventing injury and accidents. A goal of any good safety program is the prevention of accidents. Safety warning signs are important because they allow workers to become aware that a hazard is present. You know how easy it is to forget something, and safety warning signs will help your workers remember that they need to stay on alert for different hazards. Warning signs are also important because they help inexperienced workers learn about new hazards that they may not have been aware of. 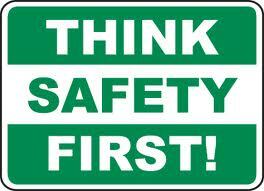 Safety warning signs can also help people who are not employees if they were to visit your production line. Moreover, safety warning signs help alert personnel who are a part of your company, but don’t work in production, to be safe. Employees who normally work at desk positions may be less accustomed to the hazards of your production area. If you don’t put up the needed signs, then you will be more likely to have accidents and problems at your production facility. Safety signs will not only make your company safer, they will help you to comply with the rigid safety standards that have become the standard in production facilities. Government safety compliance inspectors from agencies such as OSHA and MSHA look for proper placement of safety warning signs in the workplace. If you use the right signs in the right places, your workers will be safer, and the inspectors will have less to hold against you.